Including Haddington, North Berwick & Dunbar, this guide covers the county of East Lothian, which lies to the east of Edinburgh. Walks include a number of coastal paths along the Firth of Forth and the North Sea, some paths through the countys fertile farmland plus some hill walks on the edge of the Lammermuir Hills. Walks range from 0.5 miles to 11 miles (1-18km). 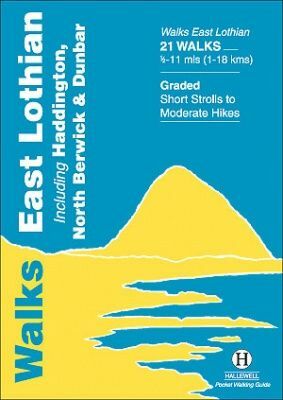 Routes include: Dunbar Clifftop Trail, Traprain Law, Haddington Riverside and Gullane to North Berwick.